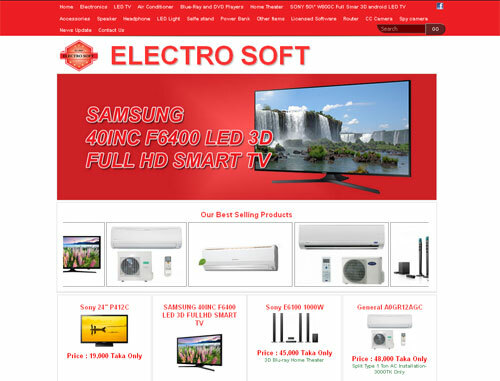 ELECTRO SOFT is an One Stop Sells Center where you can find out worlds most popular Brands Electronics Items Like LCD/LED/3D TV, AC, Home Theater, DVD/Blue Ray Player, 3D Player etc. We only sell original Product of Brand Manufacturer. All of our Products are 100% Brand New. We do not offer the better Product, we ensured the Best Product with the Price in Bangladesh. You are Cordially invited to visit our Show Room.